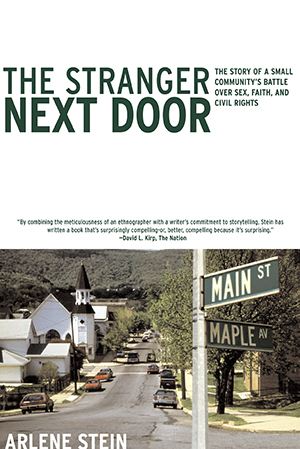 In The Stranger Next Door, Alrene Stein explores how a small community with a declining industrial economy became the site of a bitter battle over gay rights. Fearing job loss and a feeling of being left behind, one Oregon town’s working-class residents allied with religious conservatives to deny the civil liberties of queer men and women. In a book that combines strong on-the-ground research and lucid analysis with a novelist’s imaginative sympathy, Stein’s exploration of how fear and uncertainty can cause citizens to shift blame onto “strangers” provides insight into the challenges the country faces in the age of Trump. "Every liberal ought to read this. . . . Arlene Stein provides an important depiction of life in a town which became a vortex of national and local issues."